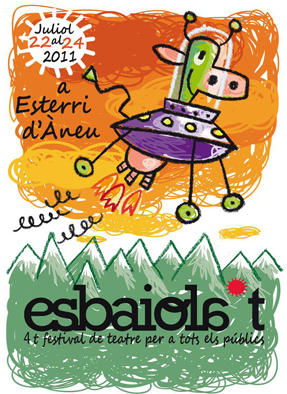 Esbaiola’t is a street theatre festival for all audiences organized by the Companyia de Comediants La Baldufa and the town council of Esterri d’Àneu. 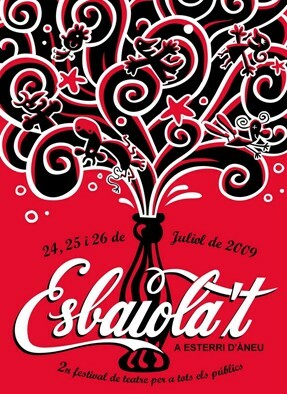 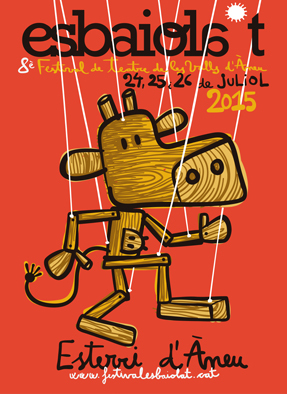 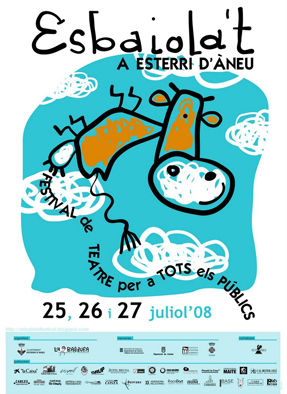 It is an annual festival which takes place in Esterri d’Àneu the fourth weekend of July. 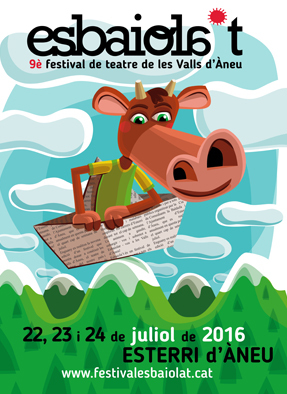 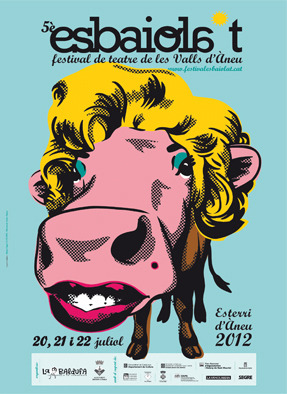 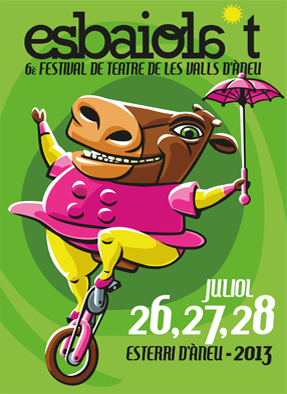 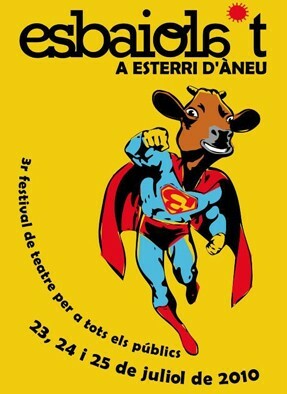 The next will be the 12th edition of a festival which aims are to promote the Valls d’Àneu and the quality theatre made in our country and to bring good examples of what is being done abroad. 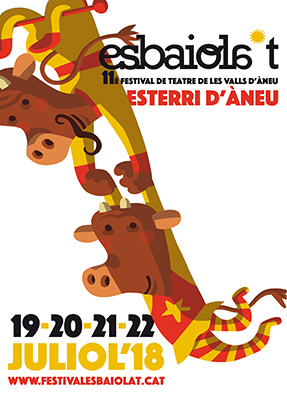 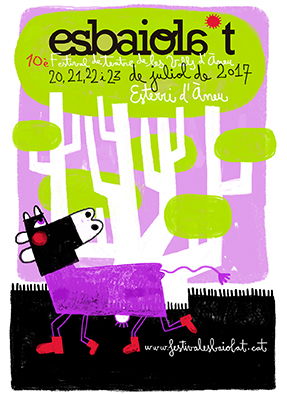 Circus, street theatre, storytellers, games, puppets, workshops and jugglers will fill the streets of Esterri during the whole weekend. 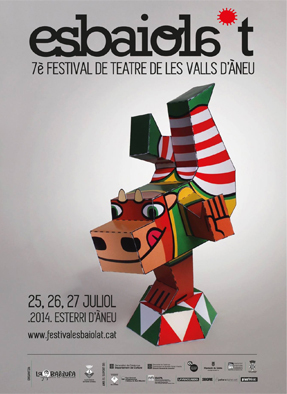 We invite you to enjoy, amuse yourself and, above all, ‘Esbaiolar-vos’* at Valls d’Àneu!